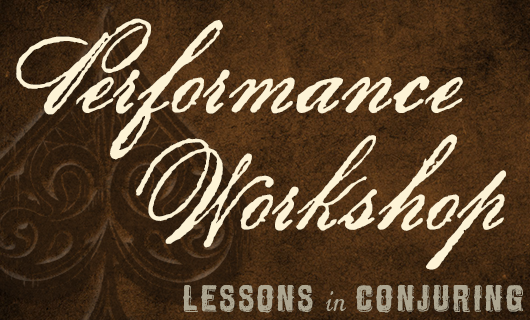 ‘Performance Workshop’ is designed to provide the skills and knowledge necessary to perfect student performances by transitioning between effects, finding a unique style, learning how to handle crowds, and much more. This is the perfect opportunity to prepare for a Magician Membership Audition. While success in the auditions are not guaranteed, this course will help immensely. This 6-week class is crucial to hobbyists and professionals alike! Students do not need to complete Magic University levels 1 through 3 to attend. While more advanced effects will be taught, we only require that students have some prior experience with magic, as they will be required to perform some effects during critique sessions. This level is limited to 8 students per semester. Each semester will be different, based on what the students require. We welcome students and magicians to take this course multiple times. Students who are not currently members of the AMA will receive a temporary student pass to The Magic Castle. Students will enjoy some of the privileges accorded to members including:• Student and one guest may enter The Magic Castle without having to pay a door charge or have a dinner reservation. • Member parking rates. • Valid Monday and Tuesday evenings and Saturday during brunch. • Students enrolled in weekday courses can also attend on nights their classes are held and are welcome to stay after each session as long as they are in dress code. Weekend students may arrive before class and stay late to enjoy brunch shows. Please note: Enrollments may be cancelled or changed until 14 days prior to the class start date. If you are purchasing classes as a gift, it is your responsibility to inform us of the recipient name either during checkout or by emailing magicuniversity@magiccastle.com. Late cancellations, transfers, name changes, etc. cannot be accommodated after the cancellation/change cut-off date. For additional information you may be required to know prior to your first class, please visit our Magic University Information Page.